Caleb Nott is lying in his hotel room bed as he chats to OUTinPerth about Broods forthcoming third album. He can’t wait for the band’s fans to hear the new music he and sister Georgia have created, but when we chat it’s still a few months until the record will be made available. By the time it’s release rolls around, a lot more people will have seen the duo perform live, when we chat about the new album Caleb and Georgia are getting ready to play in front of a massive Perth crowd as one of Taylor Swift’s support acts. For Caleb the long wait for fans to hear their new music is frustrating. “Some of these songs are two years old.” he said. 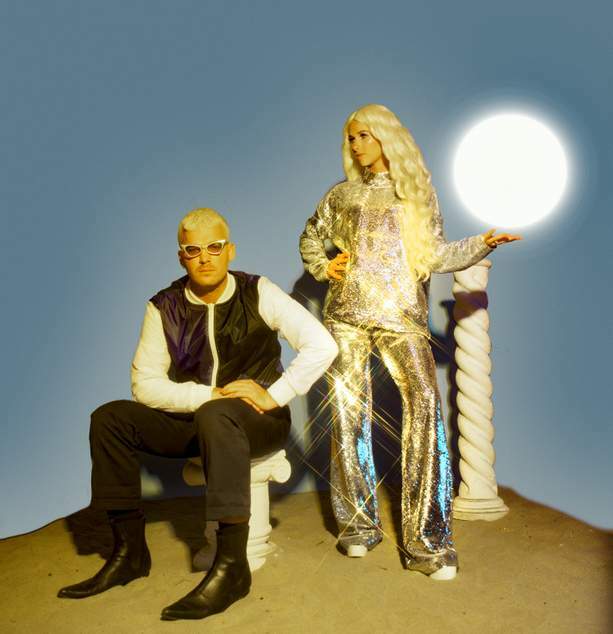 Taking their time to make the record though is a new experience for the duo – who were signed to a record company before they’d even played their first show. “We had to make sure we didn’t get too comfortable with each other, and it was a chance to upskill ourselves.” Caleb says of the time he spent working on his solo project. Having spent more time on this album than their previous two, Caleb says this record is one that really represents who they are as artists. Now they’re ready to unleash their latest offering to the world and eager fans. Released this month the album Don’t Feed the Pop Monster has been embraced by fans. Alongside the single Peach the band present eleven other tracks that range from pop to indie rock sounds. Don’t Feed the Pop Monster has just been released, Broods will be playing a live show at Metropolis Fremantle on 1st June.